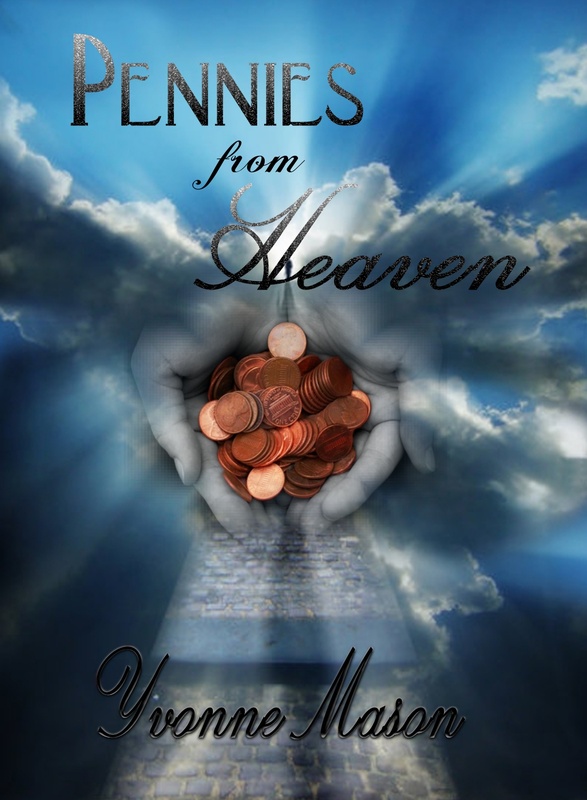 My newest release Pennies from Heaven has been released through Lulu Publishing. 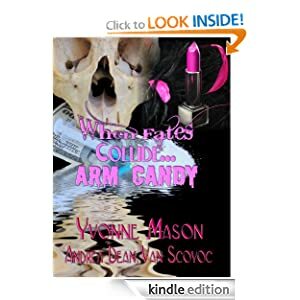 It is now up on Amazon Kindle and Nook and will soon be available on Amazon and Barnes and Noble. This book involves several people who have graciously agreed to reach down inside their souls where no one else goes to write their stories of loss and grief. The stories are as varied as the people who wrote them. Some of them are faith based – some are non faith based- many ask the question of why- a couple are about precious pets which have gone on to Rainbow Bridge. Each of us grieve in different ways- sadly some of us never grieve- we cheat ourselves by not grieving and we also cheat those who have died. We do not allow them to become a memory nor do we allow them to help us heal. We spend time in denial with no way out. This shortens our life- our mental outlook and destroys our physical being. When we don’t grieve and then accept their death- we cheat those we have lost. We cheat them of the life they lived and we cheat them of their love for us. It was my goal when I put this book together to help at least one person who may be grieving- to show that no two people grieve the same on in the same way and that there is no right or wrong way to grieve. The important thing is to grieve and then heal- then live. Has Recycling Gone Way too Far? I have been around for quite awhile – since before there was a TV in every home- I grew up on the old Superman black and white series- “faster than a speeding train, leaps tall buildings with a single bound”, The Lone Ranger, “Who was that masked man?”, Batman- “dadadada- Batman”. This is just a few. The point is every one of these have been made into movies and remade into movies adnauseum – It is as if the writers in the Rhinestone City known as Hollywood has run out of ideas. Which is a shame especially with so many many books by new authors begging for a chance. To make matters worse those new movies which are being written and thrown up on the silver screen like a wet blanket has the dialogue of a group of small children. The plots are predictable, the acting appears forced and the only thing that carries the movie is the special effects. The insane part is we pay to go see this junk. We spend thousands of dollars on gas, tickets, popcorn and drinks to sit two hours in a darkened room to watch what used to be a “B” movie. Why do we do that? Have we become numb to the fact that we accept anything that is thrown our way just to be entertained because we are to lazy or complacent to demand better? Have the young actors in the glitter city become so desperate for parts and recognition that they are willing to sign on the dotted line just to be on the silver screen? Have they sold themselves for 30 pieces of silver just to be a star? There is no class in Hollywood anymore. No class or pride in the writing of scripts- looking for new screenplays- finding the right people for the right parts and taking pride in creating something that is entertaining and has substance. It has become too easy to just regurgitate the old stuff. Lazy minds make lazy films. It has been a long long time since I paid money to see a movie- The reason- there is not one out there that I would spend money to watch. Where is the desire to create- the fire in the belly- the excitement of something new- fresh and unpredictable? I will tell you where- it died out with the Cecil B DeMille’s of this world – the Katherine Hepburn’s the John Wayne’s- the May West’s, Vincent Price’s and others who were bigger than life on the screen. These people could make a statement just by their body language- their facial expressions, their actions. They didn’t need special effects, foul language and other false impressions to make a film jump off the screen and into the brain. They stayed with the viewer long after they left the theatre. They were talked about for days, and weeks after the credits were run. The oscars are a joke. It stands for nothing. Not creative talent- not creative writing not even creative music scores. This is so sad- the next generations will never see true cinema! They will only see a ghost of what was once something beyond great! While my newest little jewel is not yet out (soon very soon) I wanted to once again let the public know it is on its way. As I have lived quite a long time. (No, I am not in my 20’s, 40’s or even 50’s) I have experienced death on many levels since I was a small child. My four siblings and I were not spared the experience. We were not shielded from death or funerals. We were brought up in the old South where death and grief were accepted as part of living and giving birth. I thank my parents for that. As children we were expected to attend funeral services, to sit with the family during the wake to accept condolences from others with grace, dignity and good manners. We were allowed to grieve to be hurt but we were not allowed to misbehave. I too raised my children in the same manner. Now many many years later, I have experienced the deaths of many many family members and friends, some who were taken way too soon. However, that timetable is not always our timetable. It is one of those things which is totally beyond our control. 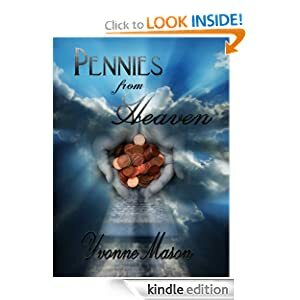 Pennies From Heaven was a need to express grief – a need to outwardly let the world know that those who have died mattered. It is not just my story- it a story from many contributors. Contributors who have lost children, grandparents, parents, even beloved pets. 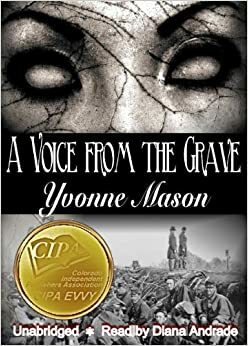 The reason for this book was twofold, the first to help those who were grieving who had never had the opportunity to express that grief to do so. The second reason was to be able to offer comfort and strength to someone else who has lost someone and wondered if they were grieving “correctly”. There is no right or wrong way to grieve, we all grieve in a different way and at different times. While there are several stages of grief- no one of us goes through them at the same time or the same way. We never “get over” the loss. The hole is always there, the pain is always there. However, if we do grieve- we will heal, the pain will diminish- even though we will always feel the loss the hole in our hearts. Pennies from Heaven doesn’t tell anyone what to do- when to do it or how to do it. It is just stories of loss and grief- Many stories talk about the anger, guilt, denial, shock and acceptance of the death of a loved one. You will also find that one or two even talk about the comfort they found when they saw their loved one just for a brief moment. Yes, I believe we are visited by those who have left us. If they could tell us one thing they would tell us what my sister told me before she died “Live your life.” She meant it. She loved life. She loved her family. She didn’t want to die. She fought it for almost two years. But she knew what we all know- death comes to all of us. What we have this moment in time is all we are promised. When we waste it we can never get it back. If you are grieving- you need to read this book. Immerse yourself in the stories that are shared. Stories that the contributors reached down deep into the deepest darkest parts of their hearts to write so that others could find comfort. No, not all the stories are faith based. We do not cram “religion” down the throats of our readers. Each story is unique to the writer. The only guideline that I asked for was for them to be honest with themselves. They did not disappoint. This book is currently at the editors and will soon be released. Add it to your to read list. You will not be sorry. Also add it to your gift list, that person will thank you. For those of you who follow me and love seeing me at my events well write this down on your calender. On March 31st I will be in Cocoa, Florida at the Central Brevard Library and Reference Center from 10:00 am until 4:00pm. The address is 308 Forest Ave Cocoa Florida. I do this event every year and love it. I see old friends and meet new ones. I will have all of my books and yes even my new audio one. This is a perfect opprotunity to start your Christmas shopping early, get that special someone their Birthday, Mother’s Day Father’s Day , even Easter present. 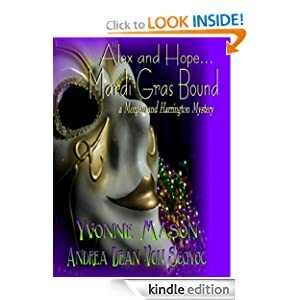 Books are the window to the world and I have so many choices, Inspiration – True Crime- Crime Fiction- Comedy- Historical Fiction and even audio. You see boys and girls, I refuse to be labeled. When one is labeled it forces one to only walk one path. I walk many. My life is so diverse and so interesting that walking one path is like being put in a cage. I write different from any author you have ever read, I march to my own drummer and some days even my own band. I see the world in a different persepective and I write the same way. 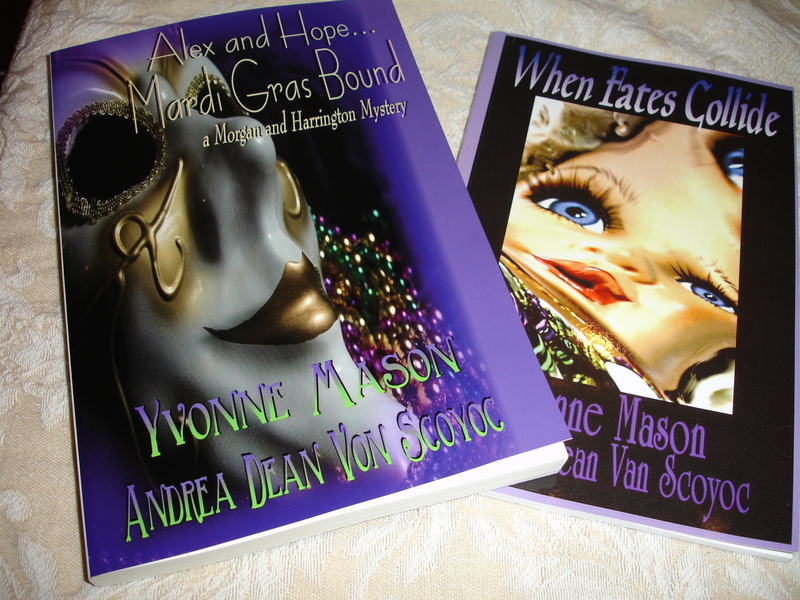 My true crime novels are not milk toast and cookies, they are raw, they show the pain, the ugly and the evil of the monstors who murdered their victims. They do not white wash anything. 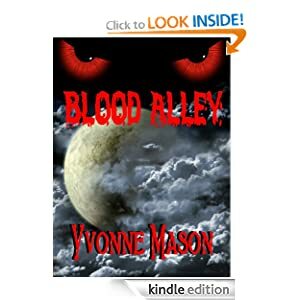 My crime fiction reads like true crime, you are drawn into the book like one of the characters. My inspiration will make you work toward being a better person. It will explode every emotion in your body to the point that when you are turning the last page you wonder why there isn’t more. My comedy comes with a disclaimer in the front of the book that I and my co- author are not responsible for any wet clothes you might have due to reading our books. For those of you who read my books, encourage your friends to visit me, for those of you who have never read my books this is a perfect time to come by and purchase them as well as to visit with me. I promise I don’t bite – but I can’t say so much about my flying monkeys, you guys on facebook know what I am talking about. This event promises to be even better than it was last year so come on down, make it a day. Tangle Minds just one of several of my books! 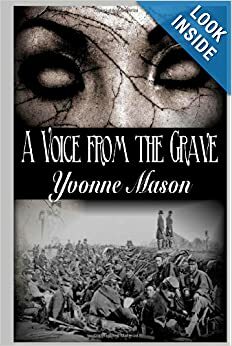 A Voice From the Grave is on Audio in mp3 format- It will play on your computer, ipad, ipod, mp3 player and other electronic devices, it may not play in older model cars but it will play in the newer ones. The entire book is on one disk so no changing which is wonderful. 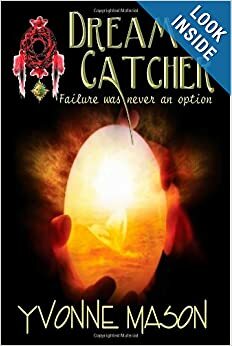 Dream Catcher Failure Was Never an Option This book is being used in Floresta Elementary as required reading. When you read it you will know why. The true story of one Man’s Success when Failure was his only option. This review was written by someone who has just finished reading this book. It is one that you will want to keep in your library and refer to again and again and again as well as give as gifts. This is actually my first book review. 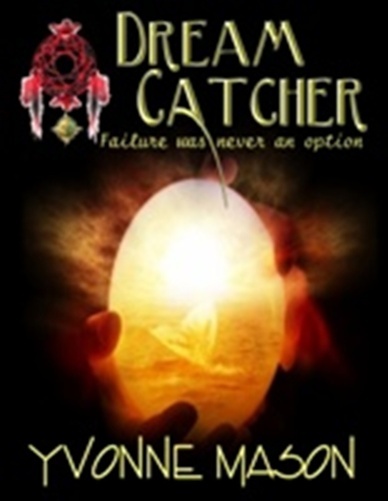 I just finished a book written in love, “DREAM CATCHER: failure was never an option”. 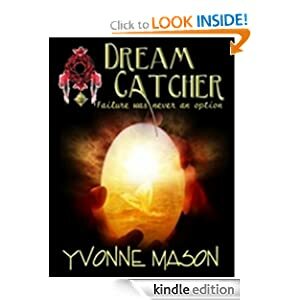 This was the first book written by Yvonne Mason, Russell graduate. 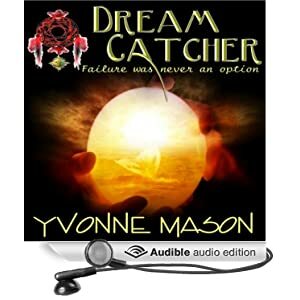 Yvonne writes with compassion and admiration of her amazing brother and his life long quest to prove the experts do not always get it right. You smile as you cry, reading how Stan never gave up, and always found his own solutions, as he worked out his own unique methods of achieving the life he wanted to live. Setbacks never stopped him. While his entire family, his loving siblings and wonderful father, always were supportive and helped him reach his goals, it is their mother who is extraordinary in her refusal to accept a restricted life for Stan. She confronts doctors and schools to help her son. Stan himself, his personality, his sweetness, his quiet courage, will make you laugh with him, and cheer for him. 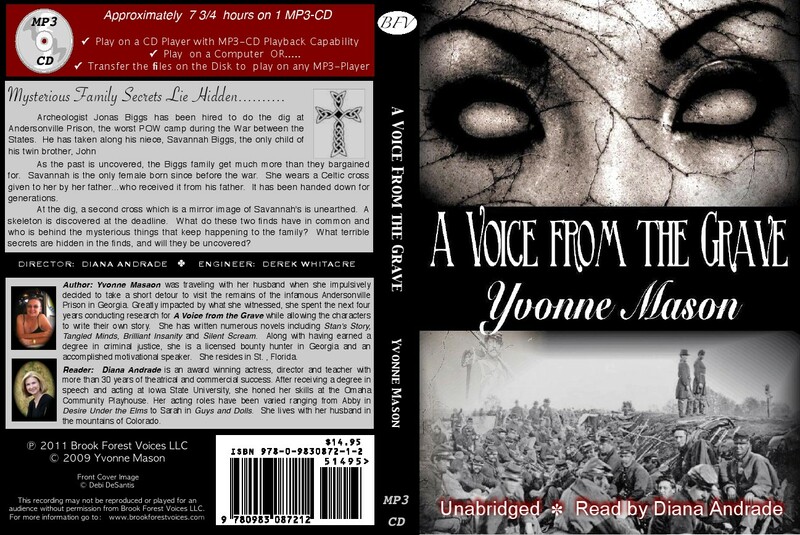 Yvonne’s love and admiration for her brother is on every page. Just keep the tissues handy. First, you will cry, then you will laugh at Stan’s exploits until you are crying again … as his indomitable spirit struggles , and triumphs. I promise, you will love this man before you finish the book. 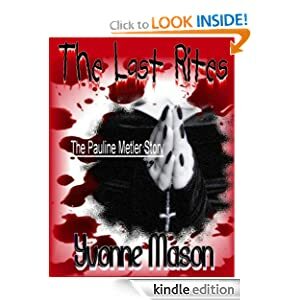 The Last Rites one of my two true crimes. It is part of the history on the Treasure Coast. Pauline Metler was brutaly raped and executed and dumped on Ulrich Rd after she was picked up hitchhiking from Melbourne to Key West. 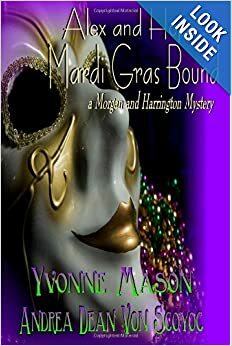 Her story takes the reader from Cocoa to Key West – to Melbourne to her death. She is one of the forgotten ones. 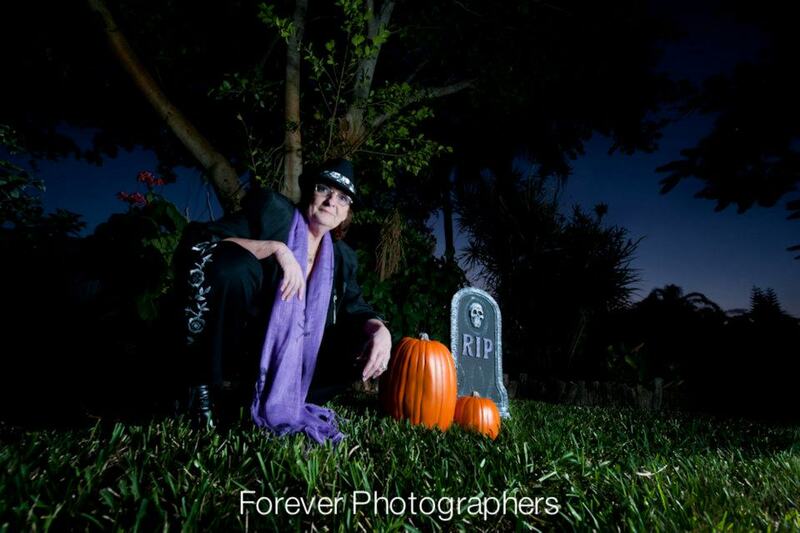 Her body was never claimed and she was buried in a paupers grave in Fort Pierce. This book is to remember her life. She is just one of many victims who have been forgotten through the years. Silent Scream my first true crime and also part of Florida’s history. Gerard Schaefer a Martin County Deputy for 30 days began killing young women in 1966, he was finally stopped in 1973. He brutally tortured and killed between 9-34 young women. This is their story- unsanitzed and raw. This is so they will never be forgotten again, some of the bodies have never been found. 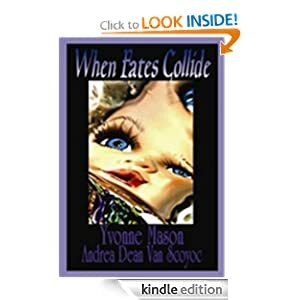 When Fates Collide and When Fates Collide Mardi Gras Bound- my comedies co written by my friend and fellow author Andrea Dean Van Scoyoc. These two books can be sold together and separate. They do come with a disclaimer that we are not responsible for wet clothing as you read them. You don’t want to miss these little babies and you will want to share. 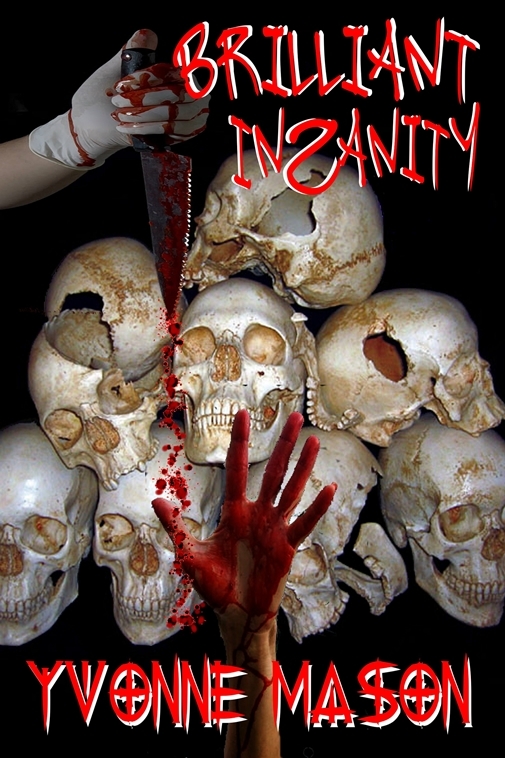 Have you ever wondered what a Serial Killer might have on his mind as he approaches his death? 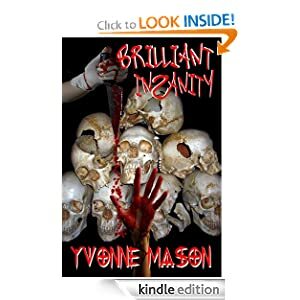 Well Brilliant Insanity is yet another one of my crime fiction novels. It is told in first person as the killer who is sitting on death row. This book has been known to keep readers up at night. Not one you will want to miss. And definatly one you will want to share. So buy one to keep and one to give away. 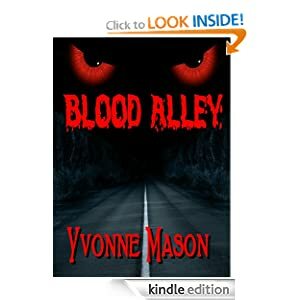 Blood Alley is currently only available on Kindle and Nook as a short story for 2.99 however, you will want to get it now because, there is something coming down the pike for this little horror story. 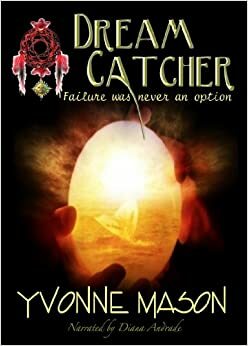 “Recieved a rejection email from a traditional publishing house that has published me in the past. It was a personal note and not a form type of letter, which I appreciate. 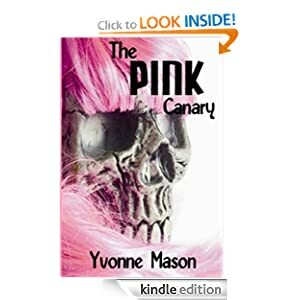 I was told that even though it is a good story, and I am a great author to work with as far as marketing and things go, they just can’t accept any ms because with all the indie and small presses there is more work than profit these days. They were only going to go with two titles this year and they already have them. The way I look at it, it’s all about Karma. If they would’ve been more open minded and willing to look at new authors back in the day, these same authors would be selling books for them now. But no, they had to lock onto certain Authors and shoved the rest of us away. Well, hope you like Karma, because she is kicking you in the scrotum! Cheers to the small presses and indie authors! Way to show the never say die spirit! 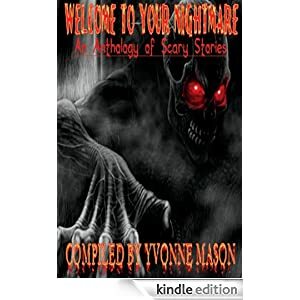 !” The author is Thom Futrell and he writes horror. This letter only serves to reiterate what I posted in a blog a couple a days ago when I received hate mail from someone who said I was not a best selling author and why didn’t I go through a traditiona publisher. They have rejected us so much because they felt they were to good to take us on that we have carved our own niche in the writing world. We have made it without them. We don’t need them. We don’t have to use the distribution houses like Baker and Tayolor or Lightening Source. We don’t have to accept .08 per book because the rest of the royality is split between the publishers, the stores, the distributor, agents and any other person they choose to pay. We don’t have to accept their dictation of who or where we can hold an event. We need no ones approval for anything. Not the content of our books because their editor is a frustrated writer, not the cover because their art person is a frustrated artist. It is all ours. This is what is hurting the traditional publishing industry. They have abused and used authors for their own purposes for so many years, just like it was done to the actors and musicians for so many years. They wanted their name out there so bad they would accept working for pennies on the dollar just to get a gig. We as indies don’t have to suffer that indignation, that humilty of being at the mercy of someone else. We don’t have to look at royality checks that say .08 per book. We don’t have to beg to go to a mom and pop event as a favor – we just do it. 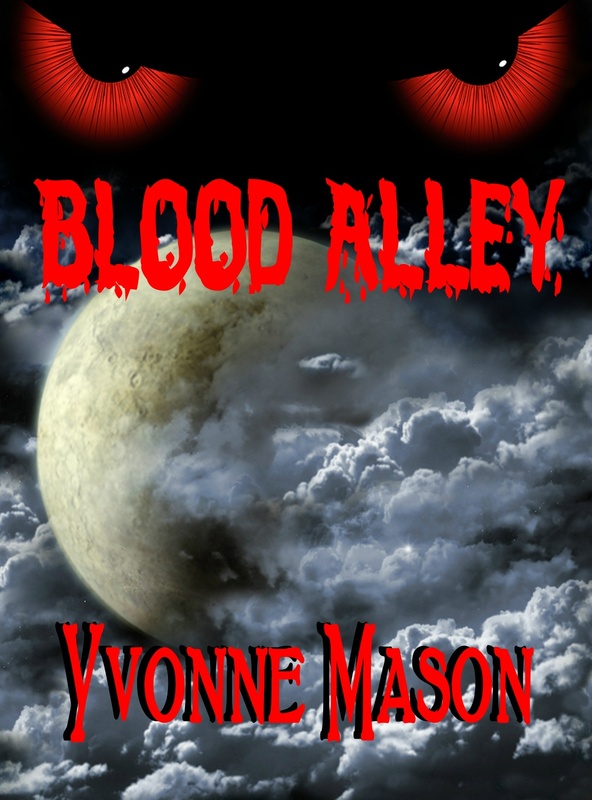 Support indie authors read our books. You won’t be disappointed. In fact you will be surprised at the quality of work out there. We are not going anwywhere. We are here to stay. To use a well overused phrase, We have not only cracked that glass ceiling we have totaly blown it out. This is such an exciting beginning to 2012. So come on and order it today. You won’t regret it. 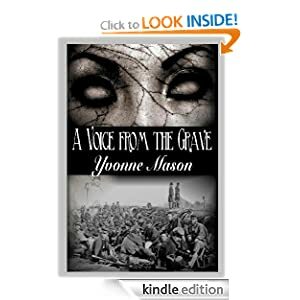 If you love the history of Civil War and the camp at Andersonville you will enjoy this murder mystery with a twist. All of the history in the audio book happened from the place, the battles and the generals down to the buttons on the uniforms, the physican’s box and weapons. Apparently this Reviewer Didn’t Read A Previous Blog About the Art of Writing Reviews. This evening a review popped up on Amazon about Silent Scream. The so called reviews G. Gilmore states that they have never written a review before and this is their first. That is obvious. It was a very nasty review. Not only that but it was crude and ill written. Obviously this person has a closed mind. Has never read true crime that wasn’t santized and has no clue as to why it was written the way it was written. So with that said, Let’s look at this childish review. The first this this G. Gilmores says is in response to a prior review from some idiot named Dan- He didn’t appreicate the fact that I posted the review sent to me by retired FBI Roy Hazelwood. This person named Dan said that it was pitful that I would post it. Really?! Seriously? His last comment was “if it is any good I will read it and comment on it.” I didn’t even bother responding to that childish remark. You had the ability to read some of it before you bought it. Second obviously the only true crime and non- fiction you have ever read is watered down and written for some child. Every true crime I have read without fail is so watered down that is is almost laughable. If you want rainbows and unicorns then read them. I have read many true crimes- My back ground is crime so don’t try to play that card. I wrote it the way I wrote it for a very vaild reason- the reader is put in that place that no one wants to be. Get over it. 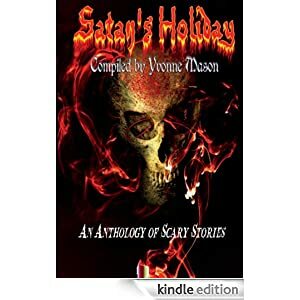 I wrote it for the victims- it is their story. “The author includes both a forward and preface that pretty much say the exact same thing. What’s worse is that the author actually makes a point to explain that she “rarely” includes both in one book, but felt compelled to in this one because it was so disturbing or something of that nature. After skimming through this nonsense I finally got to the chapter and sighed with relief. ” This was G. Gilmore’s next statement – Are you serious?! You have obviously such a closed mind you can’t get out of your own way. You felt it was nonesene. Obviously you didn’t understand the reason for the book and still don’t. You didn’t spend two years of your life talking with law enforcement watching them relive what happened like it was yesterday, going through evidence boxes, hearing their screams in the middle of the night. You just don’t get it. “But the chapters were even worse! Following every factual tid-bit of information are several rhetorical questions posed by the author to the reader. For example: (Serial killer whatever his name is) went through (some type of childhood trauma). Could this have caused the (serial killer) to kill? Could this have warped his mind into the monster that he became? Could this incident…blah blah blah…. On and on and on and on…” This paragraph is what sent me into peals of laughter. Apparently G. Gilmore has never studied Serial Killers, if they had they would have understood the questions. This book was written in order for the reader to think about how the girls felt, to put themselves in that situation. To understand on some small level what caused Schaefer to take the path he did. G. Gilmore apparently you just wished to be totaly entertained without having to use any thought process. Your loss. You don’t even remember the killer’s name so how can you remember the victims. You have just insulted them in death. Shame on you. ” And if that wasn’t bad enough, in addition to the endless questions that leave you more confused about what’s going on or what started her endless stream of consciousness in the first place, are the grammatical errors, typos, etc. I’ll have to take note of the publishing company and use caution before purchasing and reading another one of their books. It’s a disgrace. It appears that it was almost published as a first draft.” This was G Gilmore’s last paragraph. This is the one that made me fall of the sofa holding my sides. Apparently G Gilmore didn’t see the quotes around the different statements. Yes, there are misspellings and typos the reason is simple. Try this on for size any time quotes are used in a paragraph it has to be exactly as it is written. There were several newspaper quotes which were used and yes there were misspellings in those quotes. Apparently G Gilmore never showed up in English Class. As for their statement about it being a first draft- it was the 20th draft that was published. G. Gilmore I only have a couple of things to say to you – read my post on the art of writing a review and second you don’t deserve to read any of my books. They are way above your head. Your mind is to closed and my victims deserve better. And one more thing- This book has been on the best seller list!!!! As I think about the past year and the memories it has brought, I hold them dear even though some memories are sad they still belong to me. This past year I have lost three family members one after the other. The end of last year I lost one who was more a sister than an Aunt. I have chosen to surround myself with their memories in life rather than death. The reason is simple I can not go back and change a thing. I can only grieve and heal. No I will never get over the deaths, but I will move past it. There will always be a hole in my heart and sould, but I chose to fill that hole with the memories I have of them in life. So with that said, I move forward to 2012. They would want that for me. As my sister said right before she died, “Live life.” So to honor her wishes that is exactly what I am choosing to do. I want to thank all of you who have chosen to purchase and read my books. It is an honor to see book sales and to know that someone finds my work appealing. I write for the love of it. And when my books sell it never ceases to amaze me that someone else thinks it is good. So thank you for that. My hope is that each of you will continue to read my books as they are released. I want to thank each and every one of you for your kindness, support and love this past year. I know that many of you have supported me without ever knowing me personally. The kindess of strangers is overwhelming. May each of you receive a blessing in return. This new year brings with it many projects that are on my agenda. 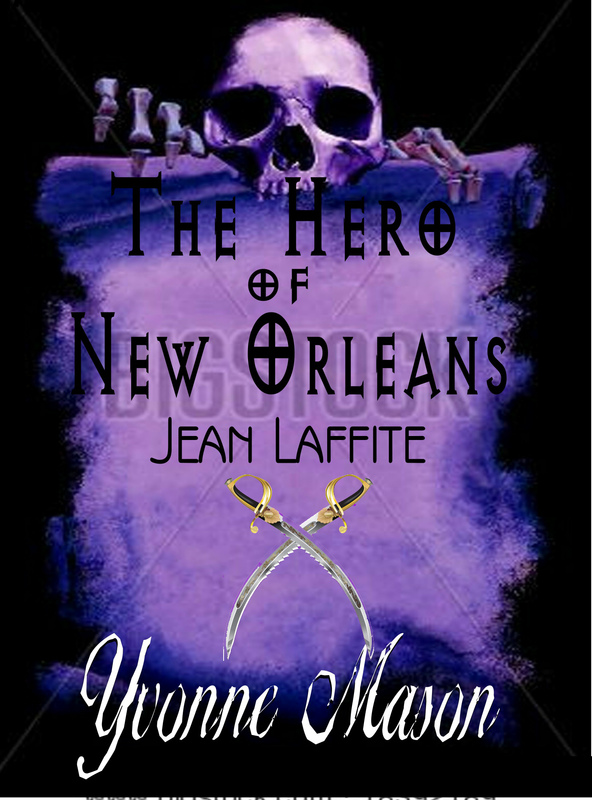 I will be releasing Hero of New Orleans- Jean Laffite this next year, and if things go as planned maybe two more books, at least one new true crime. You know how they call to me. I have been blessed on many levels and in many ways all through my life, especially this past year. I am grateful. My life is a continual learning curve and that is a wonderous thing to behold. I welcome ideas, for books. It keeps my creatvie muse happy. Unlike many traditional authors I refuse to shut out those who wish to enable me on my journay. Without your support there would be no sales. Without your support I would not be successful. Thank you for that. With all that being said, I look forward the new year and the excitement it brings! This event is the second of its kind. It is a charitable event in which all proceeds from the event goes to the Sunshine Physical Therapy Clinic, a nonprofit facility which has been serving the Treasure Coast since 1953. This is a perfect outing for everyone to buy that perfect Christmas gift. There will be handcrafted jewelry, shoes, scarves, and of course among all the other wonderful treasures, chocolates and sweets. This event not only helps someone else it can also help you with your Christmas shopping for that hard to find gift, that one of a kind gift or that special someone gift. To help with the cause there will be a $5 entry at the door.